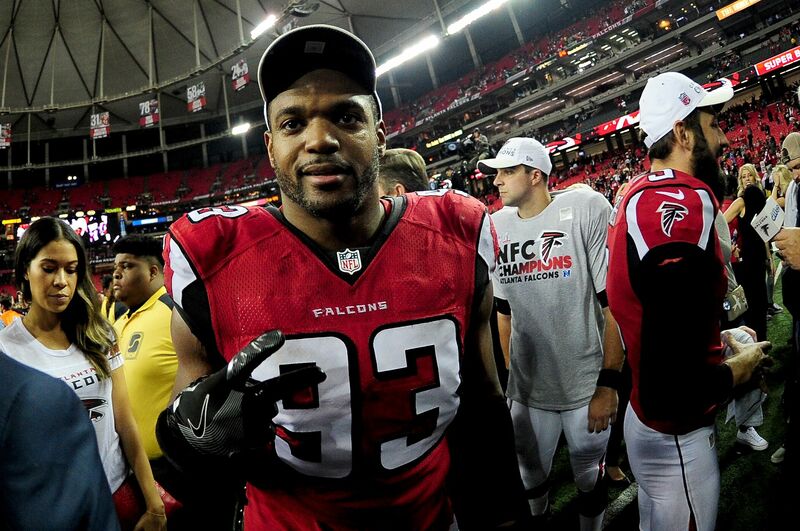 Is signing Dwight Freeney an option? Currently hurting at outside linebacker, could the Denver Broncos turn to an experienced pass-rusher to fill the void? This past season, the Denver Broncos still sported one of the best defenses in the league. The club wasn’t its usual sturdy self against the run. But it still brought the heat to opposing quarterbacks. While Pro Bowler Von Miller led the team with 13.5 sacks, fellow outside linebacker Shane Ray was next in line with eight QB traps. But on Friday, the team got some bad news in regards to the latter. “At practice yesterday, Shane tore a ligament in his left wrist,” said new head coach Vance Joseph to reporters (including Ryan Koenigsberg of BSNDenver.com). “He’s going to be out six to eight weeks.” Let’s not forget that the Broncos are currently without reserve pass-rusher Shaquil Barrett, recovering from a hip injury suffered in May. So let the speculation about replacements begin. The Denver Channel’s Troy Renck stated he wouldn’t be surprised to see the team gauge Dwight Freeney’s availability. The 15-year pro has racked up 122.5 sacks with the Indianapolis Colts, San Diego/now Los Angeles Chargers, Arizona Cardinals and Atlanta Falcons. He played in 15 regular-season contests this past season and totaled three sacks. He also corralled New England Patriots quarterback Tom Brady once in Super Bowl LI. Of course, signing a 37-year-old pass rusher may not necessarily be in the team’s best interest. But it is worth noting that Freeney has always found a way to get to the quarterback. But the Broncos’ sideline leader did remind the masses that the club had another option on the roster. It will be interesting to see how it all plays out. It’s likely that veteran Dwight Freeney could still help a team as a situational player. But will Denver Broncos general manager John Elway make the call? It’s a situation that bears watching this summer.